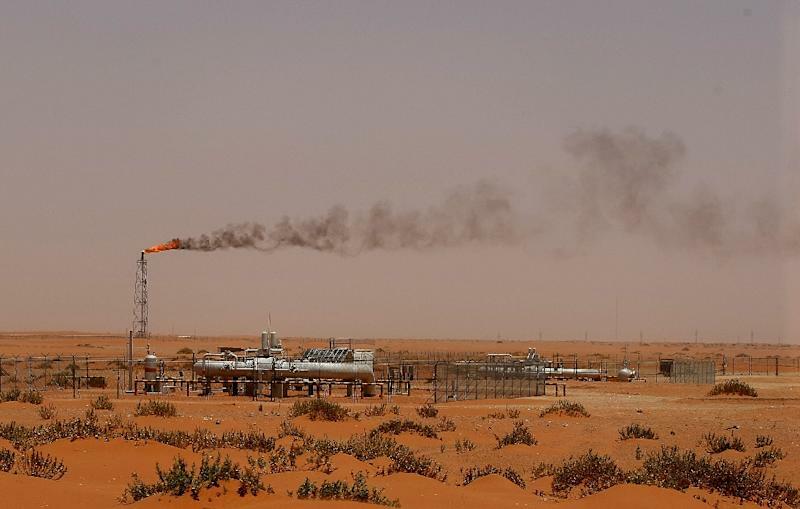 Paris (AFP) - Global oil cartel OPEC said Tuesday it sharply reduced crude oil production last month, after heavyweight Saudia Arabia slashed output and exports fell in crisis-hit Venezuela. In its monthly report, OPEC said it produced 797,000 fewer barrels per day in January than in the previous month, a decrease in line with the cartel's pledge to curb output in a bid to boost sagging prices. The decrease by the group of 14 producer countries -- which has long manipulated oil output to influence global prices in members' favour -- brought total production to 30.81 million barrels per day in the month, the report said citing secondary sources. The reduction came mostly from the world's top oil exporter and OPEC kingpin Saudi Arabia, which cut 350,000 barrels per day, followed by the United Arab Emirates and Kuwait. Oil production in Venezuela, which has been rocked by a crippling economic crisis, spiralling political turmoil and US sanctions, meanwhile sank by 59,000 barrels per day. The cartel's scale-back was in line with an agreement by OPEC and non-OPEC members in December to trim production by 1.2 million barrels a day from January 1. OPEC members vowed to cut 800,000 barrels a day of that amount, so January's figures fell just 3,000 barrels short of that commitment. The cartel has joined forces with 10 non-member nations including Russia to trim output to avoid a repeat of the 2014 crash when prices dove to below $30 a barrel -- down from over $100 -- due to a glut in supplies and weakening global demand. That figure remains far below the $85 a barrel hit in early October before prices slid back. The Tuesday report estimated that non-OPEC members would produce more oil than expected this year, particularly in the Gulf of Mexico and the United States. It also slightly downgraded its forecast for growth in global demand in 2019 from 1.29 million barrels per day to 1.24 million. "With economic momentum expected to slow in the current year, this makes economic developments in the major consuming nations a key factor to monitor going forward," the report said.